Last one for this week. Who's this guy!? Reality TV is faker than "fake" wrestling! "The views that I'm about to express are not necessarily those of anyone else but myself, but they ought to be and, in fact, they probably are"
hmm, i thought it was kane. is it Mike Awesome? kirbs2002 wrote: Percy Pringle/Paul Bearer? Although, he did work in all "Big 3" promotions like Awesome. But now I'm curious, did Bossman have stint in ECW? 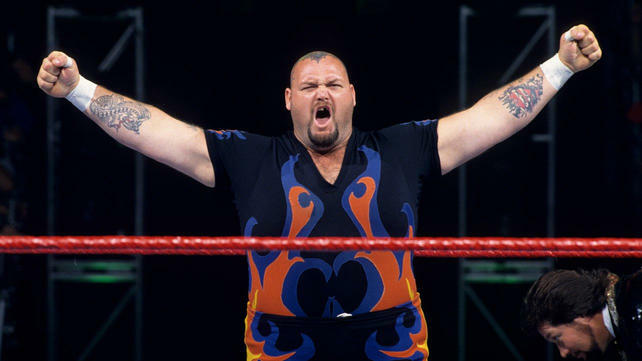 cero2k wrote: Bam Bam Bigelow? That's it! The original Scotty 2 Hotty! Also surreal with hair. I could have sworn he did, but according to The Wiki, I am mistaken. He debuted as Big Bubba Rogers in WCW in 86, moved to UWF from '87-'88, went to WWF until '93, returned to WCW until '98, and then came back to the F.
kirbs2002 wrote: I could have sworn he did, but according to The Wiki, I am mistaken. So many guys made pit stops in ECW while between promotions, I would have believed it. Seems like there was a gap between his "Guardian Angel" time in WCW and his WWF return as Badass Bossman In Black where an ECW match or two would have made sense. THEN, I maybe thought about it TOO hard and got him confused with Mr Hughes ( :-\ ) who was in ECW for a minute.